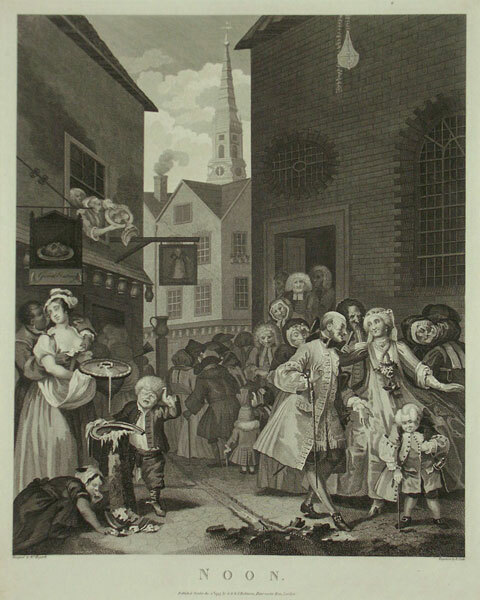 A set of four copper plate engraved plates by Thomas Cook after the original paintings of William Hogarth, published in London in 1797. Thomas Cook (1744-1818) was an accomplished line engraver of caricatures and portraits after his contemporaries. 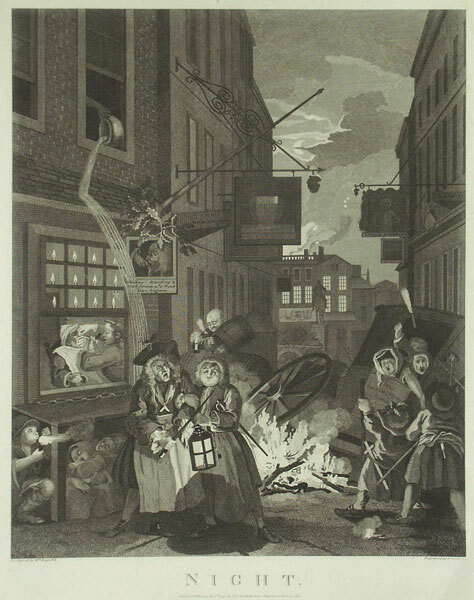 His most famous work is the complete set of prints he produced after Hogarth's much acclaimed satirical images. 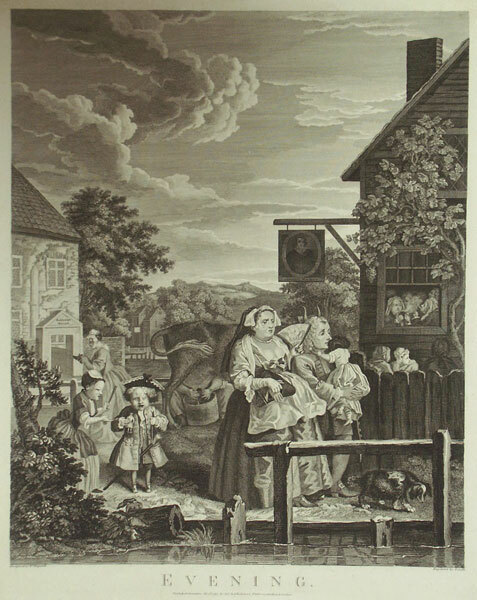 He studied under the French engraver Ravenet and was employed by John Boydell, both of whom had worked closely with Hogarth during his lifetime. This series, collectively entitled "Times of the Day", depicts four satirical scenes set against familiar London backdrops. In the Morning scene a pious lady picks her way through the snow towards St. Paul's Church in Covent Garden, oblivious to the sensuality that surrounds her. 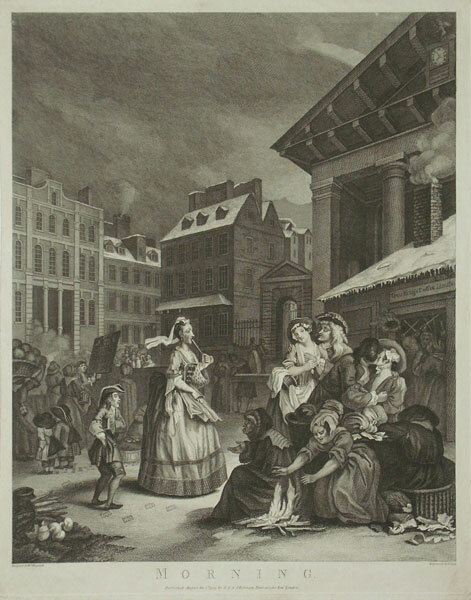 Noon contrasts the vulgarity of the English with the affected mannerisms of the newly arrived French Huguenot population in Spitalfields whilst Evening takes us to Sadler's Wells where a plump middle class woman openly cuckolds her husband. By nightfall we are back in the heart of the city surrounded by the misery, congestion and chaos of life in Villiers Street. These wonderfully evocative prints offer us a wry look at Georgian London but also hold up a mirror to the social tensions and aspirations of contemporary city life.